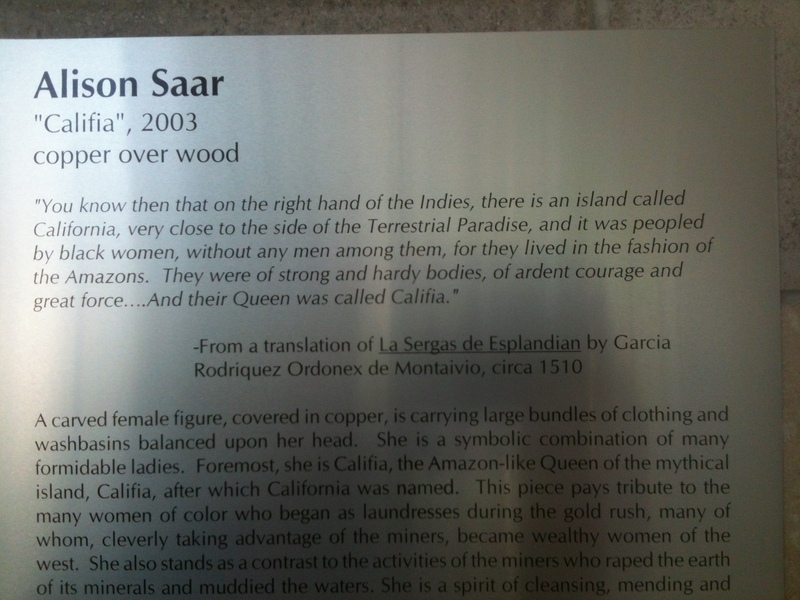 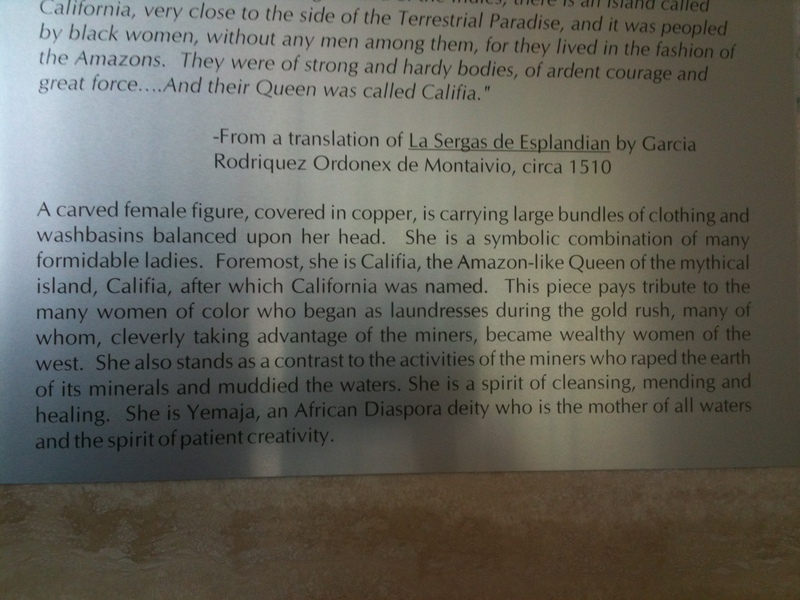 A beautiful description by artist, Alison Sarr, of the striking figure of Califia which stands in the foyer of the state building at 15th & Capitol. 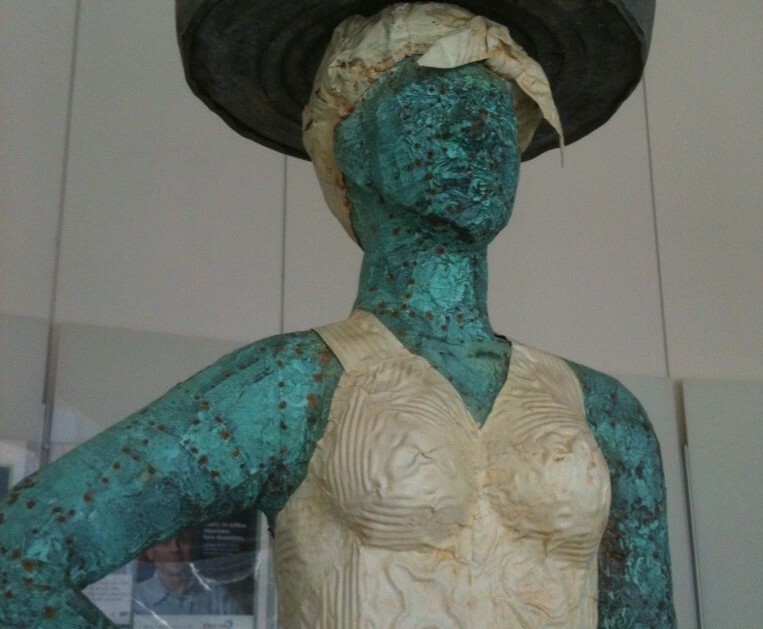 She is carved from wood and covered in oxidized copper. 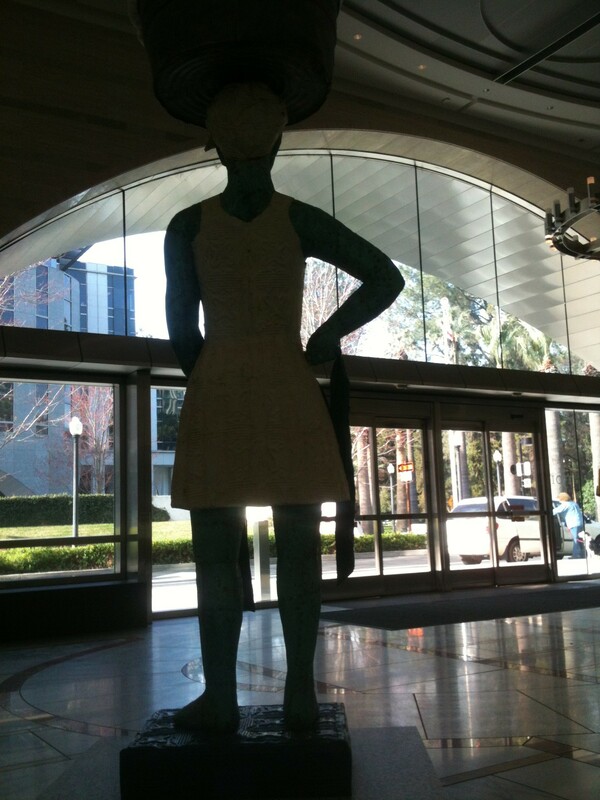 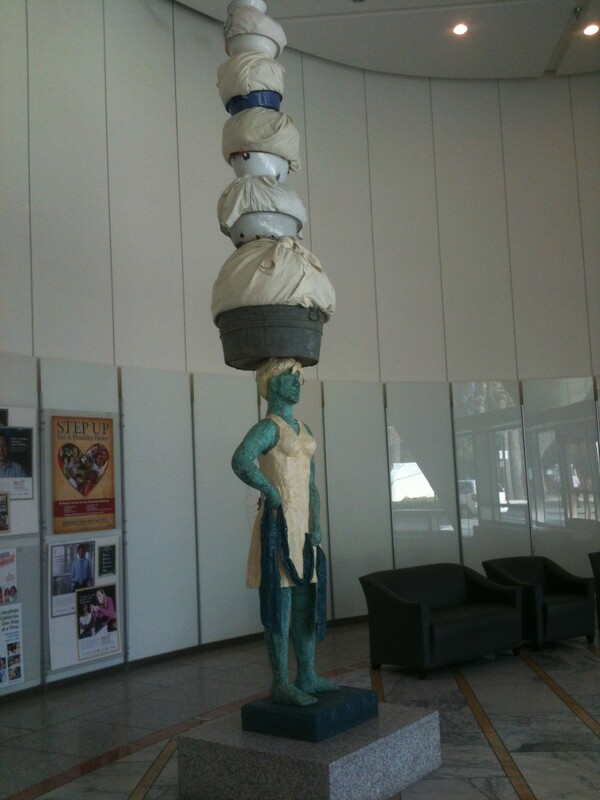 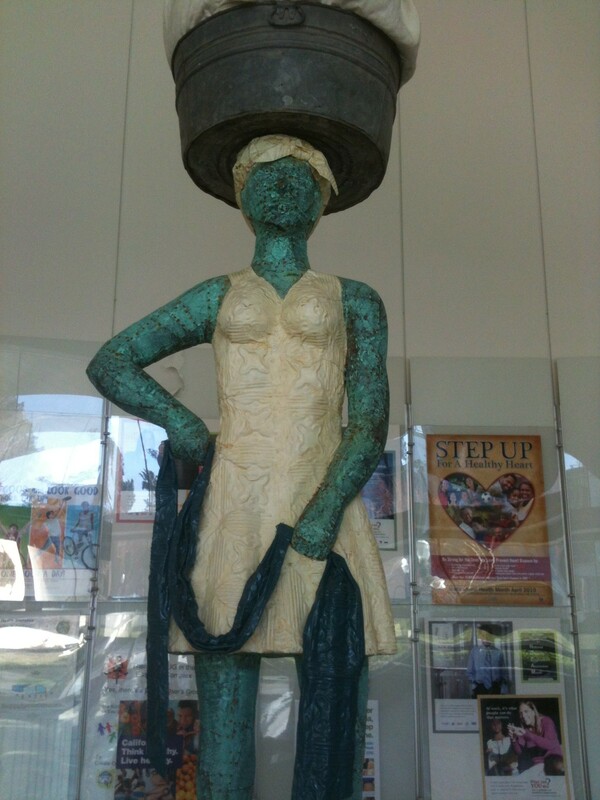 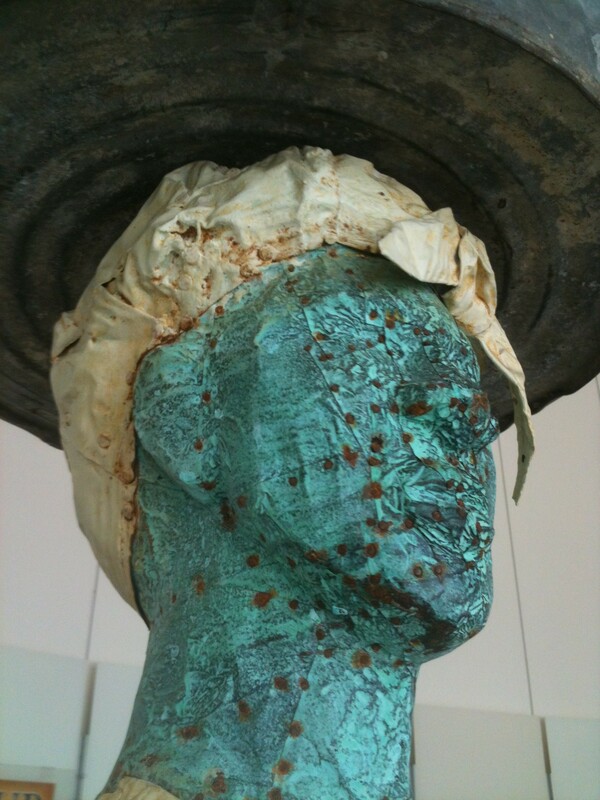 Califia herself stands about 6′ tall and with about 7′ of bundles on her head, the entire sculpture is nearly 14′ (1).